The Tigers have climbed to the No. 2 spot in the Class 4A rankings after making their debut this spring. ERIE – Being a brand new program isn't going to slow Erie down. 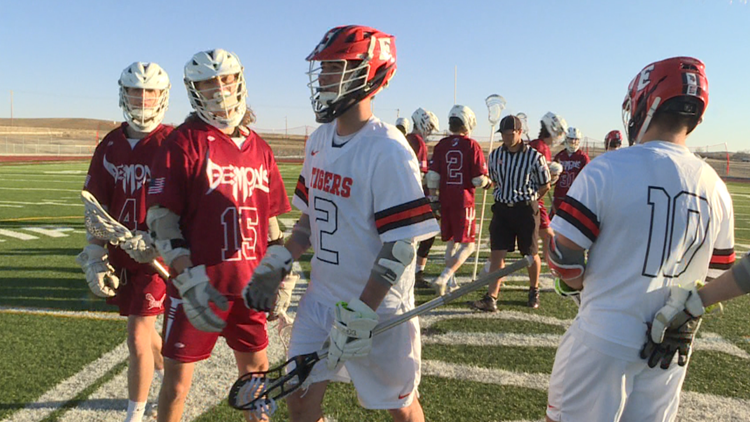 The Tigers haven't missed a step as their boys lacrosse team made its debut this spring, and have been setting the standard in their inaugural season. "I've grown up here, playing lacrosse, hoping that my high school would get one," senior midfielder Tyler Gardner said. "It's finally happened." Gardner is one of a handful of players who call Erie home for both lacrosse and school. But the majority of the 60-plus others who make up the teams of the program come from all across the St. Vrain Valley School District. "It was definitely strange at the beginning because Frederick and Erie are such big rivals," said junior defenseman Joey Notaro, who attends Frederick High School but plays for Erie. "But the whole community has been so accepting. There's been so much support behind this program that I don't even think twice about putting on an Erie uniform." Another big chunk of Erie's program brought players over from previous 4A powerhouse Dawson School, which has played in three-straight state championship games. Because of the shift, many of the players who used to play against each other are now teammates. "It was fun to play against them, and now it's super cool to play with them because we've always been friends," senior midfielder Stone Keener (Mead student) said. The Tigers are led by head coach Nick Mandia, who previously coached at Chatfield. With Mandia at the helm, Erie has won its first three games and climbed to No. 2 in the most-recent CHSAA rankings, behind only defending state champion Cheyenne Mountain. "From a coaching perspective, when you begin a program you're thinking 'How much time is it going to take until we're competitive? '," Mandia said. "That variable was completely removed just by the bodies that were drawn into the Erie lacrosse program." The Tigers did drop a game in Utah earlier this week, but have outscored their in-state opponents 33-4 over three victories. 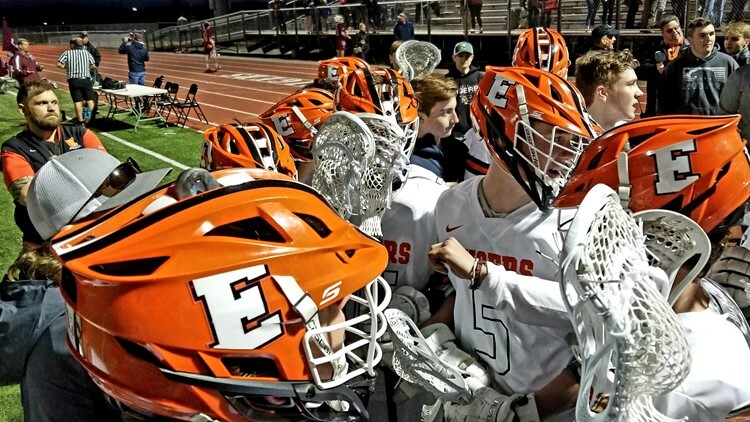 The Erie High School boys lacrosse team defeated Golden 10-3 in its inaugural home game on Wednesday, March 20, 2019. Erie returns to the field on April 2 when it faces Bear Creek on the road. The Tigers' next home game is on April 9 against Ralston Valley. "The way you handle it is the way the way it's going to end up being," Gardner said. "If you're handling the program well, then it's going to end up being a great program, and you're going to be able to say 'I started that program, and look where it's gotten.'" See the feature story on the 9NEWS Prep Rally this weekend.